Alibaba is hurtling towards an IPO that could be the biggest in history. But what does the tech juggernaut with a name plucked from Arabian Nights actually do? The simple answer is that Alibaba dominates online shopping in China. But the company founded by Jack Ma, a former English teacher, does so much more -- with tentacles extending into nearly every aspect of life in China. 1. Shop: Alibaba's biggest cash cow is Taobao, the largest online marketplace with 8.4 million active sellers each year. Taobao means "search for treasure" in Chinese, and pretty much anything can be bought on the site, including shoes, electronics, drones and boyfriends for hire. 2. Shop some more: While most sellers on Taobao are small businesses, big brands are found on Tmall, a marketplace Alibaba launched in 2008. Retailers including Apple (AAPL), Gap (GPS), Marks & Spencer, Esprit (ESHDF) and Burberry (BURBY) all operate storefronts on the website. Taobao and Tmall form the heart of the Alibaba empire. They connect sellers with 279 million shoppers and sales hit almost $300 billion in the year ended June. 3. Dinner and a movie: But wait, there's more! The Taobao app allows Chinese consumers to make a dinner reservation, book a taxi or buy movie tickets -- with every transaction completed via smartphone. 4. Navigate the world: Alibaba recently snapped up AutoNavi, China's answer to Google Maps. 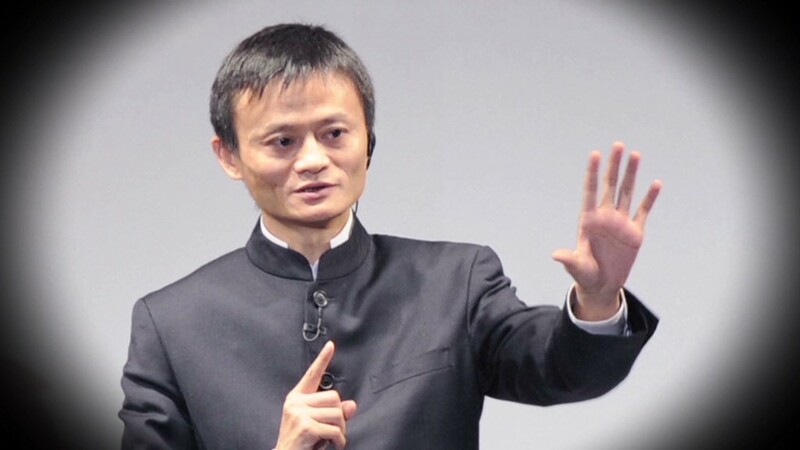 It's another part of Alibaba's rapidly expanding mobile portfolio. 5. Ship products anywhere, anytime: Alibaba owns 48% of China Smart Logistics, a joint venture formed with local logistics companies. The network consists of more than 1,800 distribution centers and nearly 100,000 delivery stations. 6. Pay for stuff: How do Chinese consumers pay for all the stuff they're buying through Alibaba? They use Alipay, a service that processes the vast majority of transactions made on Alibaba's shopping marketplaces and mobile apps. While it plays a major role in Alibaba's network, Alipay's ownership structure makes it more of a corporate cousin and it won't be included in the IPO. 7: Invest: Another affiliated business is Yu'e bao, a money market fund run by Alipay. Consumers are able to make deposits via smartphone, and returns are dramatically higher than what's on offer at traditional state-run banks. The fund has attracted tens of million of dollars in deposits. As if e-commerce, payment processing, financial services, logistics, mapping and mobile apps weren't enough, Alibaba is quickly expanding into new areas. The company is pouring dollars into entertainment and sports, recently acquiring media companies and a soccer team in a pre-IPO buying spree. Will investors reward Alibaba's ambition? Jack Ma will find out when shares begin trading later this month.